5. Satisfying consumer’s higher concerns about product quality and safety. 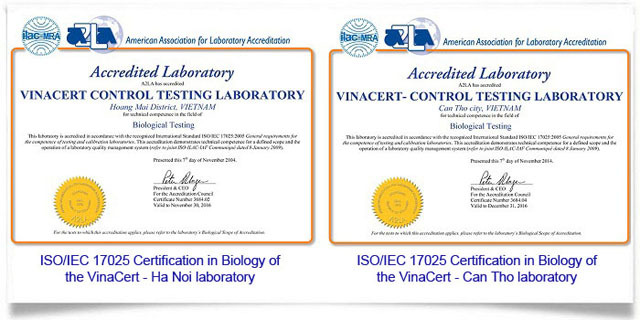 Why choose Standard Conformity Certification of VinaCert? Directorate for Standards, Metrology and Quality - Ministry of Science and Technology has certified VinaCert for certification activity registration in the field of standard conformity products and goods, Registration No.03/CN. Certificate No.1910/TDC-DGPH. 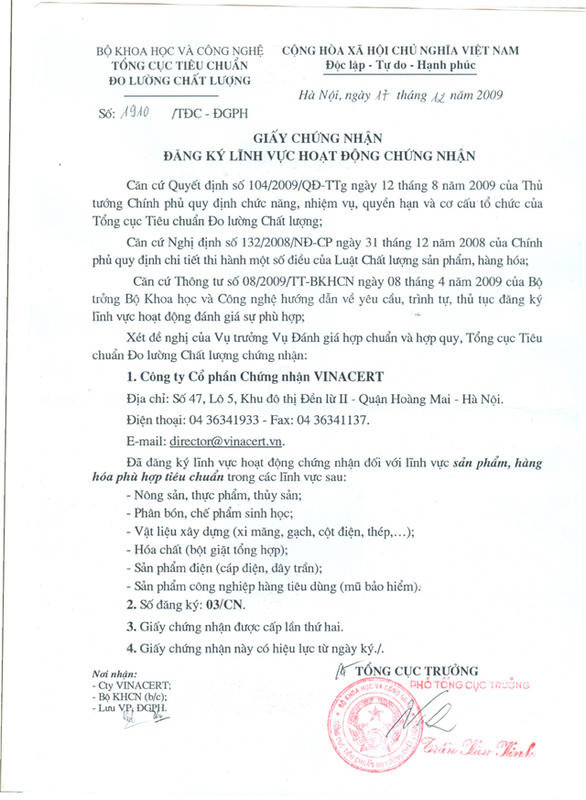 Professional Experience: VinaCert is proud to be the first certification organization established in Vietnam operating under Law on Enterprises, VinaCert is always proactive and flexible in all legal procedures to minimize cost and time for customers. Auditor team consists of highly qualified, experienced and trained under IRCA international standards professionals, meeting ISO 19011 requirements. 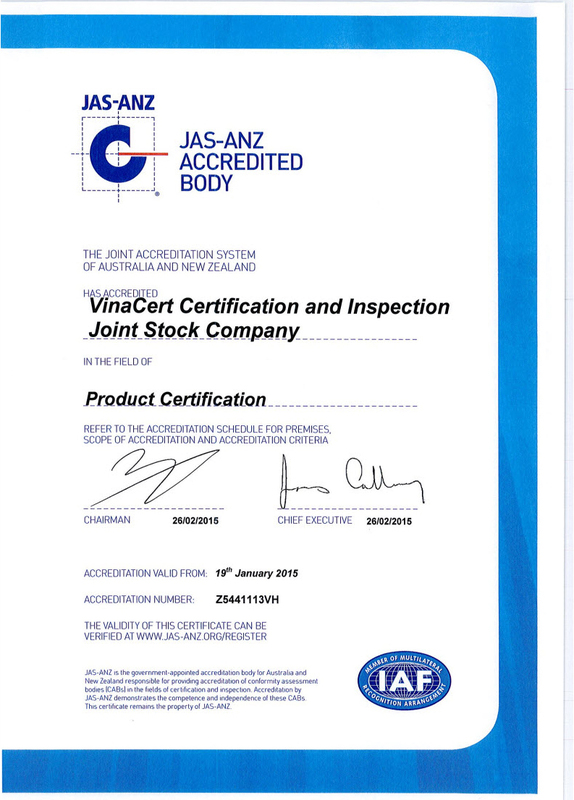 Currently, VinaCert has 35 auditors and 43 technical experts. The system of VinaCert offices spreads throughout State-governed central cities: Hanoi City, Ho Chi Minh City, Haiphong, Da Nang City, Can Tho City - provides certification services to clients anywhere, help clients save costs. Price is reasonable and overt to customer for all assessment process cost. Commiting to be quick, convenient, confidential, equitable, objectivity and cooperative.